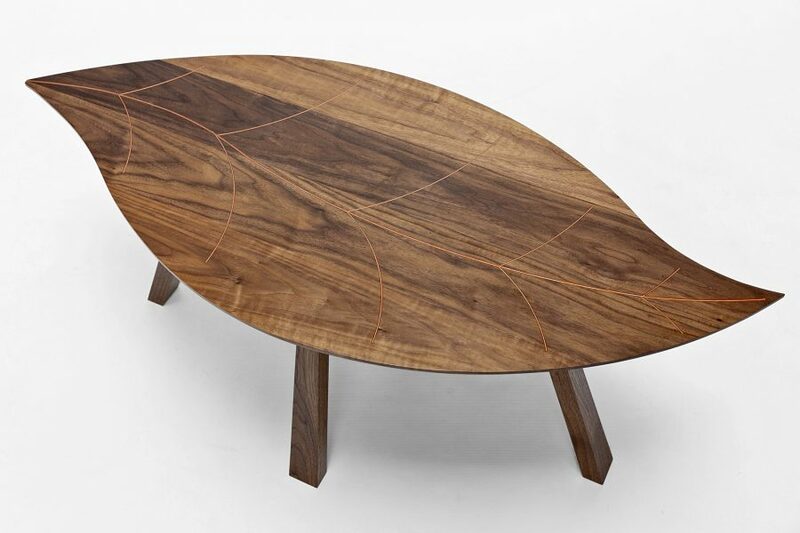 Evoking an autumnal scene of gently falling leaves, richly coloured walnut is perfectly complemented by the subtle, yet striking leaf vein detailing in this coffee table. 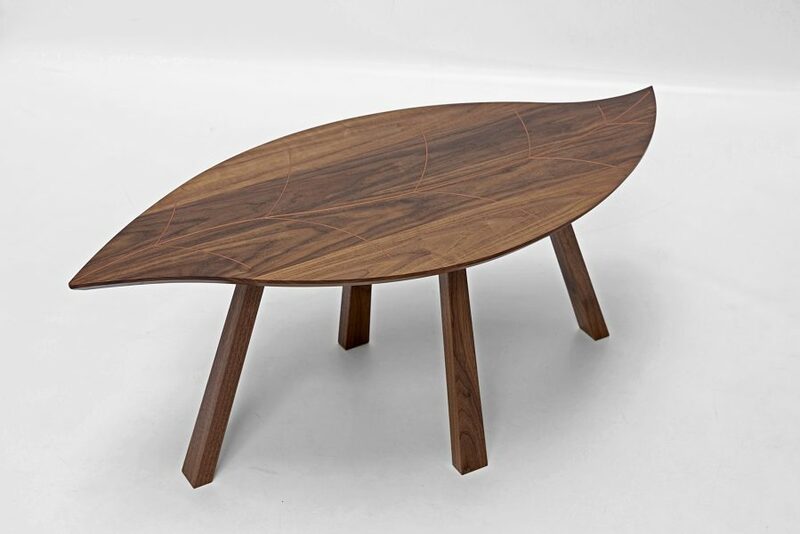 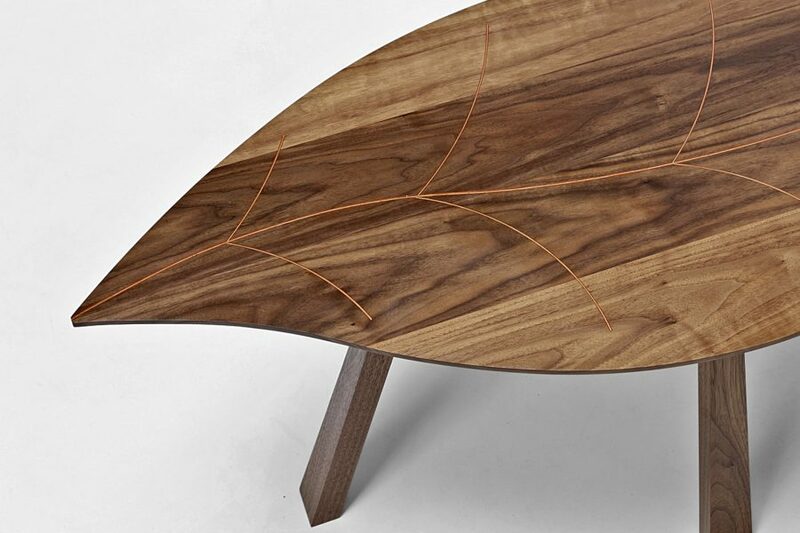 The table is made of solid American Black Walnut and the leaf vein detailing is made with copper and resin. 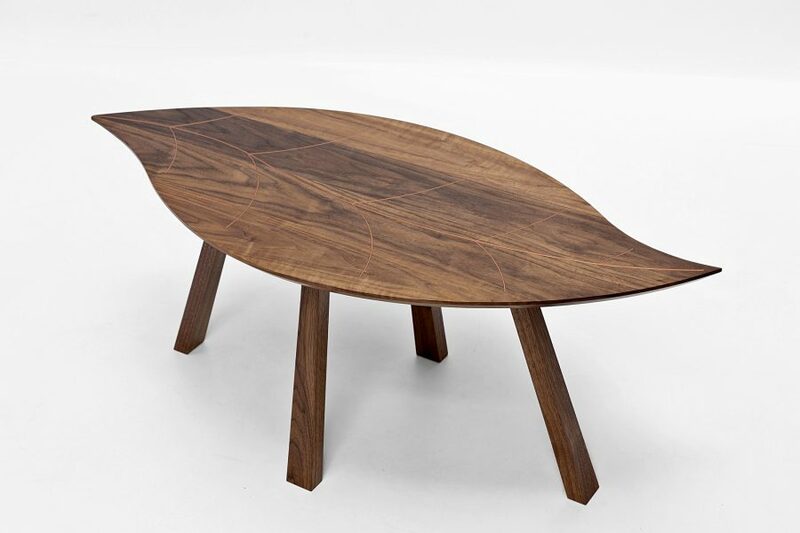 The table is finished in several coats of hand-applied oil/wax for a robust finish.